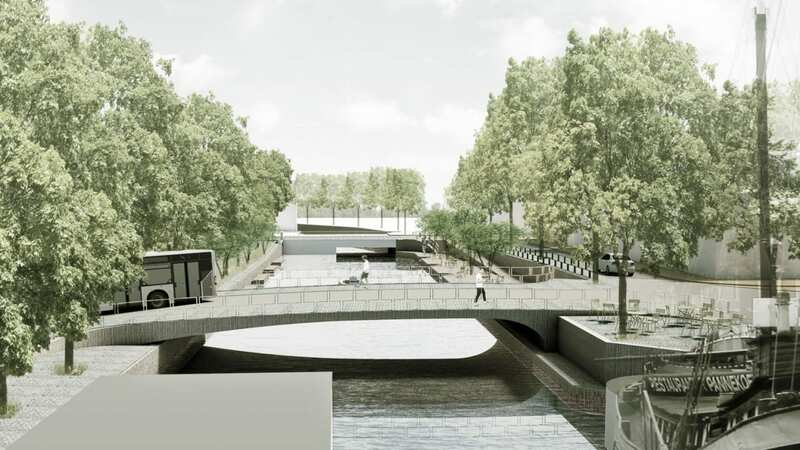 How is the new Kattenbrug coming along? Where will new bus stops at the Stadsschouwburg and the Provinciehuis be placed? What will the city look like in 10 years? At the new Binnenstadscafe exhibition, city residents can get a sneak peek of the future. The Binnenstadscafe will be open to the public between 4 p.m. and 7:30 p.m. in front of the Gemeente building at Gedempte Zuiderdiep 98 on Tuesday, 19thMarch. The Groninger Internet Courant reports that sketches and drawings shed light on developments across the city, including the Nieuwe Markt at the Groninger Forum. Projects on display will include the refurbishment of the Sint Jansstraat and ideas for the south side of the Gedempte Kattendiep (where the Holland Casino stood before a large fire). The information panels will remain available for viewing until Friday the 22ndif March in the front hall of the building on the Zuiderdiep.